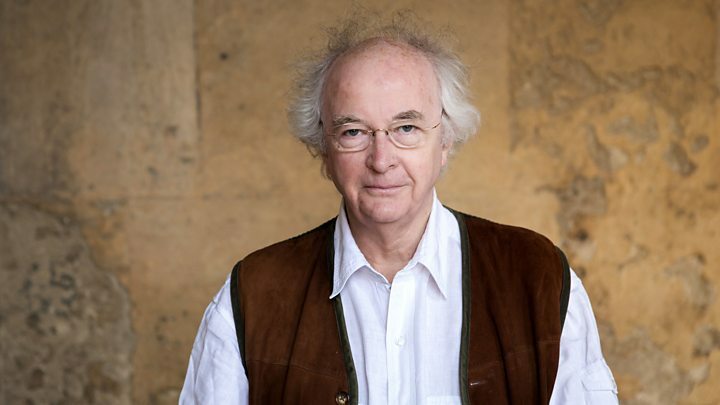 Sir Philip Pullman, author of His Dark Materials, will receive the J. M. Barrie Award to mark a lifetime’s contribution to children’s literature, it has been announced. We salute him for delighting children and adults with alternative worlds and fictional characters. Less well known, though no less masterfully expressed, is the delight he himself takes in the imaginary world of Heath Robinson and the wonderfully absurd cast of characters who star in it. Four years ago Philip Pullman wrote an encomium on Heath Robinson and commended efforts to create a home for the artist’s work, since given concrete form as the Heath Robinson Museum in Pinner, north London. Pullman’s words in praise of the ‘Mighty Commander of the Preposterous’ now appear as the Foreword to our own tribute in printed form, Very Heath Robinson. In just a few paragraphs Pullman conjures up a delightful world where anyone with a spanner and screwdriver can make a vacuum cleaner, build a car or automate their home. It’s classic Pullman. So much conjured up in so few words. The prestigious J. M. Barrie Award is given every year by Action for Children’s Arts (ACA) in honour of the creator of Peter Pan. Previous winners include Dame Jacqueline Wilson, Roger McGough and Sir Michael Morpurgo. Pullman now stands among them, memorable for creating characters such as the headstrong Lyra Belacqua in His Dark Materials, the daring Sally Lockhart in The Ruby in the Smoke and even a scarecrow in The Scarecrow and his Servant. ‘We consider him a magical, magnificent spinner of yarns,’ says Vicky Ireland, chairwoman of ACA, ‘who for many years has pulled his readers and audiences in by the power of his imagination.’ Pullman will be presented with the award in central London this autumn. Spinning yarns is what you will find him doing in Very Heath Robinson. He creates magic with words, achieving perfect balance in every phrase, clause and sentence. And the characterization is sublime. You can find a teaser here.